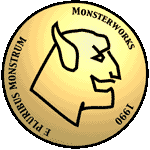 Monsterworks is the name I use when I program. The actual creation of a name was motivated by Java's use of domain names to distinguish different author's works. As a result, I decided to obtain a domain name which did not depend on my current academic affiliation. The name Monsterworks comes from a hybrid of my wife's maiden name and my last name (MONtgomery + foSTER). Most work done by Monsterworks is made freely available, however, for some of the items (such as pre-release versions of source code), you will need to make a request by e-mail. Much of the work here has been supported by various educational institutions and you may need to check the copyright statements in each individual product to determine which have been supported by whom. iSplit is a stopwatch that can be used to track team races (where you may want to collect split times for multiple runners in the same race). It is available through the iTunes App Store. You can find more information about iSplit on the iSplit website. I write a variety of code in a variety of languages and post it here so that others may use it. However, since this is not a job for me, I tend to focus on those things which either interest me or are of immediate use to me. Also, much of the material posted here is not the most up-to-date (I tinker a lot). If you have a specific interest, let me know and I will see if I can find more recent versions. I was one of the programmers who helped developing the Alpha8 and AlphaX programs for Macintosh. March 2008: What's in Your Target. March 2004: Documenting your Code with Doxygen. GNU MP is	the	GNU	Multiple Precision Arithmetic Library. You can find the source and documentation for the libraries. I have written the following project files and libraries for use with Metrowerks’ CodeWarrior 5.0.3. Compiled Libraries (68K and PPC with 4 byte integers and 8 byte doubles). Ever want to go back and control the Mac OS 9 version of Eudora using Apple Events in C++? Well have I got a class for you. This php + mysql package was developed to help people try to schedule courses, rooms and instructors over an academic year to help deal with room/time conflicts as well as keep the credit loads distributed evenly. The database schema is included in the distribution as well as the php files. What is not included are instructions for a couple of rows that need to be added to a database before it can be set up. Let me know if you want that information and I will see if I can find it. This php + mysql package was developed to help people post family photos. You can find an example of its use at Monstershots. The database schema is included in the distribution as well as the php files. This php (+ mysql) package was developed to help people view and search photos taken at team sporting events. Users are able to identify athletes in the photos and help build a database of which athlete is in which photo. The database schema is included in the distribution as well as the php files. Let me know if you want more information and I can provide it. While working to put together an online course at Purdue North Central, I wrote some Java Classes to implement remote quiz taking. These classes are included here although I cannot seem to find a copy of the source code. While working on developing isetl Linear Algebra Modules, I developed a group of isetl files that allow you to set up different fields and vector spaces and then perform standard matrix operations over those vector spaces. The source code can be found here. Some Monsterworks’ files come with ckid resources. If you are planning to use version control in your own projects (a generally good idea), you may need to strip these resources. I've found ckid Stripper to be very useful for this.